Have you heard about Telephone, the new picture book written by award-winning and bestselling author Mac Barnett with illustrations by Jen Corace? If you read this blog often you’ll certainly know we’re big Mac Barnett fans and now we’re spreading the word that we’ve added Jen Corace to our list of faves. Telephone, the schoolyard game so beloved by generations of kids, has been playfully reimagined and reaches new heights of humor when birds on a telephone wire pass along a message. You know the game, a simple sentence, in this case “Tell Peter: Fly home for dinner,” is changed by each consecutive messenger until it’s unrecognizable. Kids are going to love how each bird on the telephone wire hears the message based on his or her own particular interests. The variety of birds and their hobbies are beautifully illustrated by Corace. Don’t miss all the details she’s so carefully created such as the shadows of the birds in the first spread and the way neighbors seem to also be sharing news. The picture book’s theme of communication and listening versus hearing lends itself well to a discussion with children about how our own experiences and feelings can play a huge role in what we hear, thought we heard or want to hear. Of course Barnett gets it right by saving the wise old owl until just before the very end. After hearing the sheer nonsense Peter’s mom’s original message has become, the owl’s able to cool, calm and collectedly straighten things out. So in a word, or a few, tell your children to read this book or better yet, read it to them. Pass it on! PRESIDENT TAFT IS STUCK IN THE BATH by Mac Barnett with illustrations by Chris Van Dusen is reviewed by Ronna Mandel. 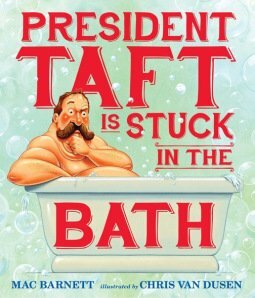 President Taft is Stuck in The Bath written by Mac Barnett with illustrations by Chris Van Dusen, Candlewick Press, 2014. 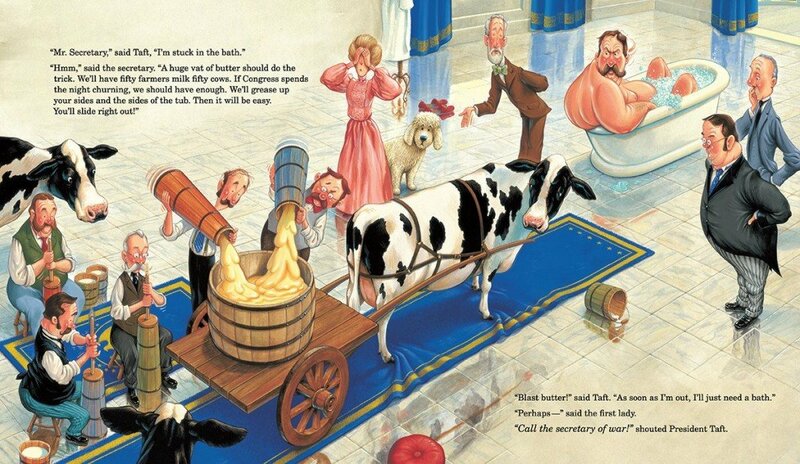 President Taft is Stuck in The Bath (Candlewick Press, $16.99, Ages 4+), a new picture book written by Mac Barnett and illustrated by Chris Van Dusen, is as good as its cover, if not better, and the cover is just terrific (or should I say terry-ific?)! 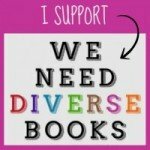 PLUS: if you enjoy this review, enter our giveaway to win a copy of the book. *Details below!! I couldn’t wait to read my review copy of President Taft is Stuck in The Bath. I’d always heard the rumor/anecdote that the hefty (and I don’t mean muscular hefty, but big, heavy hefty) William Howard Taft, our 27th U.S. President, had gotten stuck in the White House tub, but I never pursued this line of inquiry let alone thought it was material for a children’s picture book. I was wrong! Thankfully Mac Barnett thought otherwise and chose to dig deep into the archives for this hilarious picture book that will make both parents and kids crack up (no pun intended). As I’ve said, I was ready from the cover and certainly from page 1, with its page-size portrait of a handlebar mustachioed, scowling Taft, to follow this riotous romp wherever it took me. I think you will feel the same way. By including a plethora of the President’s cabinet called upon to remedy the situation, Barnett has created a cast of characters that do not fail to entertain. We first meet the demure Mrs. Taft. Her attempts to offer her husband suggestions as to how he could be extricated from the White House bathtub are disregarded by the angry and frustrated President. “It’s a disaster!” said Taft. He asked her to call for the Vice President who, upon seeing Taft’s dilemma, could not disguise his eagerness to be sworn in as President. When it was evident the V.P.’s one track mind was of no help, the President summoned the Secretaries of State, Agriculture, War, Navy, Treasury and Interior one after the other. But alas, all their over-the-top ideas proved futile. Interior spread from President Taft is Stuck in The Bath written by Mac Barnett with illustrations by Chris Van Dusen, © 2014 Candlewick Press. And though it comes as no surprise that it’s the First Lady who saves the day, it doesn’t matter. It’s the artwork that’s the star here as we see a birthday-suited Taft finally freed from the tub. In all his naked glory, Taft the President is still human. The book’s uproarious take on this often-told tale may even tempt young readers to delve more deeply into the past of this and other American leaders. Between Barnett’s delightful usage of early 1900s sounding language, “Blast that!” bellowed Taft. “A preposterous plan.” and Van Dusen’s humorous illustrations (who thought a picture book featuring an overweight man in a bathtub could be so engaging), the pair have managed marvelously to pull off presenting a president getting stuck in the tub in a way I could never have imagined. It doesn’t hurt that, while the anecdote has never been corroborated, Barnett includes an interesting author’s note along with “Some Facts Pertaining to President Taft and Bathtubs” that should not be missed. My takeaway – who cares if this tale is fact or fiction? It’s a lot more fun speculating with Barnett and Van Dusen! Here’s a link to an interview with illustrator Chris Van Dusen. * Enter here by sending an email with your name and address included. Be sure to write Taft is Stuck in the subject line. This giveaway valued at $16.99 ends at midnight PST on Monday, April 14, 2014. One winner will be chosen randomly on Tuesday, April 15th. 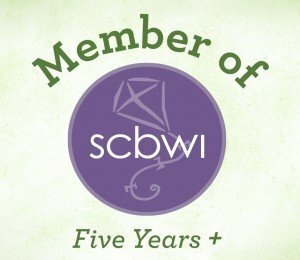 You must first like us on Facebook or Twitter for eligibility. Good luck! U.S. and Canadian Residents only.